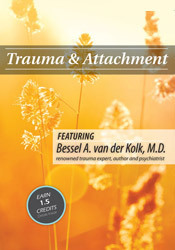 Learn from the world’s leading trauma clinicians and researchers a coherent, comprehensive theoretical basis for understanding the physiology and neuroscience that underlie trauma. 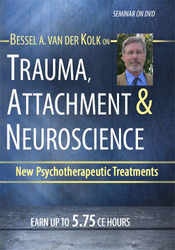 You learn the most effective and dangerous techniques, the physical nature of trauma and why trauma effects each client differently. 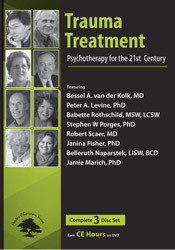 This DVD features the world’s leading experts on trauma treatment discussing the latest and most effective modalities for optimal treatment outcomes. 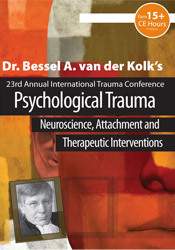 Learn how to effectively work with memories, process traumatic materials, which modalities are the most effective and new diagnostic issues and updates. Details: Multi-disc DVD recording (3 hours, 35 minutes) with instructions.